With immense pride and pleasure we bring to you Sleepsonic Mattress from the house of MRFI Pvt. Ltd!! MRFI Pvt. Ltd. is a company engaged in manufacturing of exclusive bedding products for over three decades. Combining together our expertise along with ongoing market research, we introduce our exceptional range of Sleepsonic products. Every mattress we manufacture is the result of our uncompromising approach and emphasis on correct back support, posture and orthopaedic needs. We have state art production facility at Rudrapur and ancillary units at Pune, Bangalore and Kolkata which enable us to make speedy and prompt deliveries anywhere in the country. With our head office situated at New Delhi we have branch office at Mumbai, Pune, Bangalore and Kolkata, which help us to provide incomparable customer service to all our clients. We are amongst the fastest growing mattress brand in India and have a product line catering to every segment of the market. 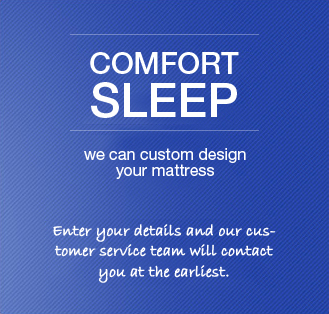 We at Sleepsonic firmly believe that a brand is built on fine quality and exceptional customer service and we aim to provide exactly that to our associated network as well as our end consumers. Our brand value today is a result of our well trained team of professionals who work round the clock to make Sleepsonic the best mattress you will find in the market! 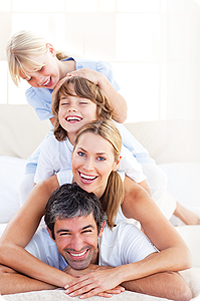 We assure you that once you buy a Sleepsonic mattress nothing else will be good enough for you!